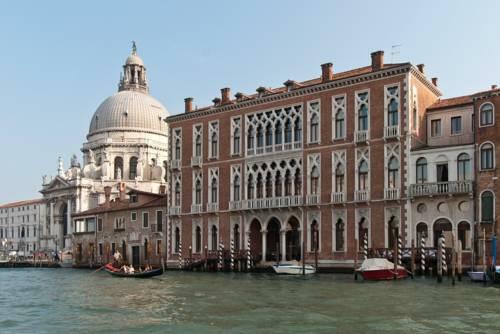 Venice is internationally famous for its luxurious hotels, some of which are targeted at the most high-income travelers. In order to stay at Centurion Palace , visitors need to pay no less than US$700 for a standard room. To book the exclusive Junior suite, travelers will have to shed more than US$100 a day. This cozy suite for two guests is 35 square meters large and has many advantages such as premium décor and a magnificent view of the Grand Canal. The high-class hotel is open in a stylish palace constructed in 1892. Centurion Palace even has its own pier. Luna Hotel Baglioni offers a wide range of premium guest rooms. Upscale travelers might prefer to stay in the exclusive 50 square meter suite that offers a breathtaking view of the lagoon. A night in such a room costs approximately US$2,000. The décor of guest rooms is nothing but flawless and strikes visitors with the abundance of elegant details. In the bathroom, travelers will see a beautiful bathtub on carved legs. Guest rooms feature beautiful designer furniture in light shades. Even the design of ceiling in rooms is thought out to the last detail and looks stunning with fretwork and skillful drawings. Guests of the hotel are always welcome to visit Canova, a famous Venetian cuisine restaurant, that is well-known for its extensive wine list. Hotel Metropole is one of the most prestigious hotels in Venice. The design of the fabulous hotel is worth an art museum as one can see unique artworks virtually everywhere at Metropole. Both guest rooms and the restaurant are decorated with old paintings, and in the halls, there is an interesting collection of old fans. However, one of the most important historical treasures is hidden in the surrounding garden. Make a walk there to find an ancient well among exotic plants and green bushes. The well was constructed more than 600 years ago. Hotel Metropole offers a wide range of classy guest rooms for travelers, including luxurious suites that cost no less than US$1,000 a night. Many connoisseurs of modern luxury choose to stay at The Westin Europa & Regina. Only exclusive furniture and custom, made-to-order textiles are used in gorgeous suites of the hotel. The design of furniture is developed by specialists from Lorenzo Rubelli, and one of the oldest and most famous weaving company in Venice produced textiles. Besides the elegant design of guest rooms, the high-class hotel has an excellent wine bar with an open terrace. It’s a perfect place to enjoy your favorite drinks and admire the panoramic view of the Grand Canal at the same time. Fans of history and art always enjoy staying at Ca Sagredo Hotel . A simple walk in public areas of the hotel can replace a visit to an art museum. The magnificent historic building of the hotel has nearly completely retained its original design. You will see old frescoes on the ceiling of the palace, and corridors still have beautiful antique statues. The hotel’s collection of paintings by outstanding Italian masters is absolutely flawless, and collections of many Venetian museums cannot compete with it. Every day, guests of the elite hotel can admire the priceless artworks and enjoy the comfort of their elegant rooms. The exclusive Excelsior Venice is always present in the list of the most prestigious hotels in Venice. It greeted its first guests in 1908; in 2013, the hotel was fully renovated. 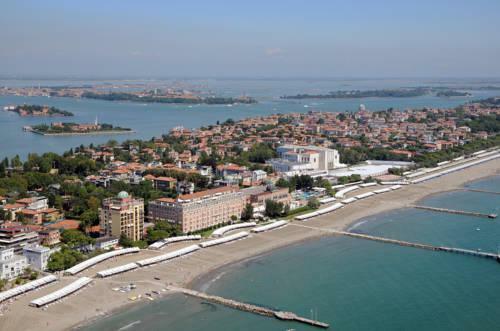 Open on Lido Beach, the hotel is also famous for its La Taverna restaurant and Blue bar. The latter is often picked as a venue by various modern performers. This guide to posh and fashionable grand-hotels of Venice is protected by the copyright law. You can re-publish this content with mandatory attribution: direct and active hyperlink to www.orangesmile.com.